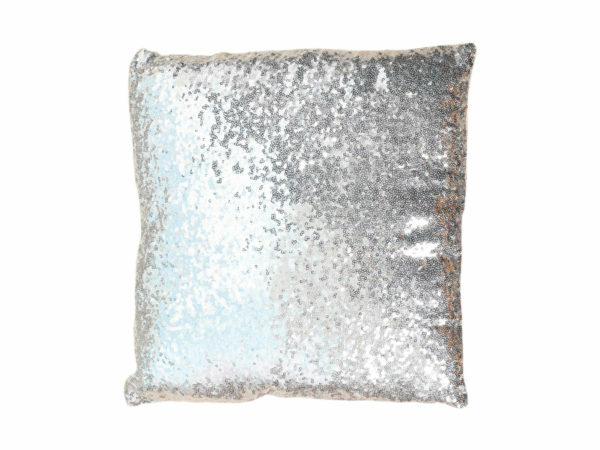 Bring color, texture, and shimmer at home with Silver/White Color Changing Shimmer Pillow. The pillow features a silver and white sequins. Great to write a positive message or play tic tac toe on the pillow. This gorgeous and trendy pillow is perfect for bedrooms, living rooms, dorm rooms, and so much more. The pillow is 17" x 17" in size and 100% polyester. It comes packaged with tag.